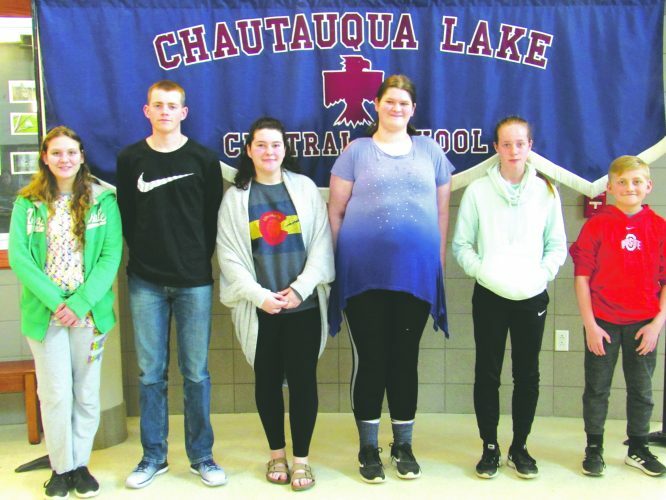 Freshman Amanda Roth, sophomore Noah Merchant, senior Alex Bogosian and junior Andrea Olson were lauded for their gratitude, or the appreciation for the benefits they receive from others and the desire to reciprocate with their own positive actions, when they were named Knights of the Month for December 2017 at Silver Creek High School. The students were presented with certificates and a $5 gift card to the Knight's Korner school store. Senior Lauren Grover, freshman Owen Hastings, sophomore Taylor Nerhbass and junior Ryan Smith (not pictured) were lauded for their self-control, or the capacity to regulate thoughts, feelings or behaviors when they conflict with valued goals, when they were named Knights of the Month for January 2018 at Silver Creek High School. The students were presented with certificates and a $5 gift card to the Knight's Korner school store. 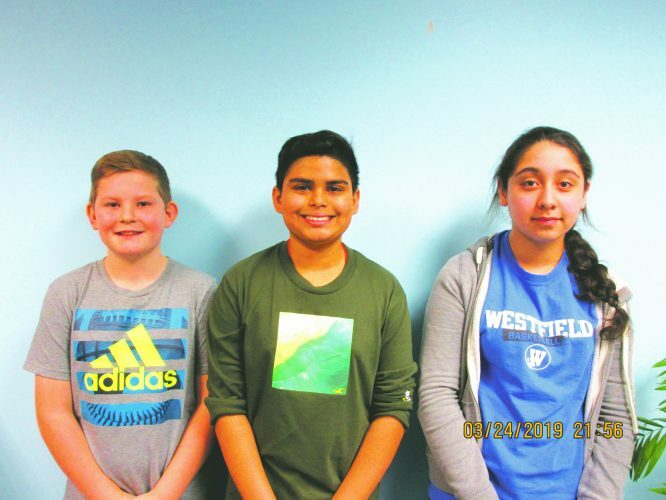 Freshman Shannon Bordenkercher, junior Sabrina Seneca and sophomore Jeff Debargalis were lauded for their optimism when they were named Knights of the Month for February 2018 at Silver Creek High School. These students expect that the future holds positive possibilities and have the confidence that, with effort, these possibilities become likelihoods. The students were presented with certificates and a $5 gift card to the Knight's Korner school store. Senior Ryan Rocque was lauded for his optimism when he was named Knight of the Month for February 2018 at Silver Creek High School. He was presented with a certificate and a $5 gift card to the Knight's Korner school store. Freshman Amanda Roth, sophomore Noah Merchant, senior Alex Bogosian and junior Andrea Olson were lauded for their gratitude, or the appreciation for the benefits they receive from others and the desire to reciprocate with their own positive actions, when they were named Knights of the Month for December 2017 at Silver Creek High School. The students were presented with certificates and a $5 gift card to the Knight’s Korner school store. Senior Lauren Grover, freshman Owen Hastings, sophomore Taylor Nerhbass and junior Ryan Smith (not pictured) were lauded for their self-control, or the capacity to regulate thoughts, feelings or behaviors when they conflict with valued goals, when they were named Knights of the Month for January 2018 at Silver Creek High School. The students were presented with certificates and a $5 gift card to the Knight’s Korner school store. Freshman Shannon Bordenkercher, junior Sabrina Seneca and sophomore Jeff Debargalis were lauded for their optimism when they were named Knights of the Month for February 2018 at Silver Creek High School. 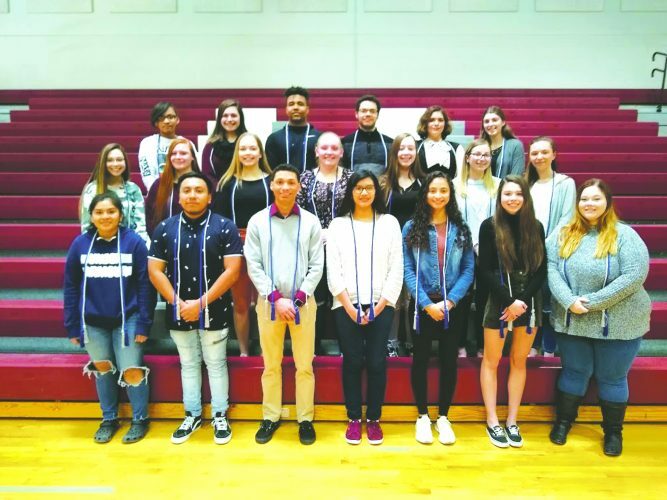 These students expect that the future holds positive possibilities and have the confidence that, with effort, these possibilities become likelihoods. The students were presented with certificates and a $5 gift card to the Knight’s Korner school store. 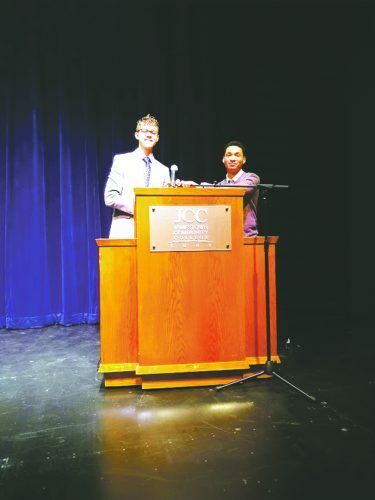 Senior Ryan Rocque was lauded for his optimism when he was named Knight of the Month for February 2018 at Silver Creek High School. He was presented with a certificate and a $5 gift card to the Knight’s Korner school store.